The Seasiders had every opportunity to win the match after utterly dominating the first half, but surrendered their record in controversial circumstances. After taking the lead from the penalty spot Blackpool let Barnsley back into the game, defending a corner poorly before the visitors were awarded a penalty in the last minute. 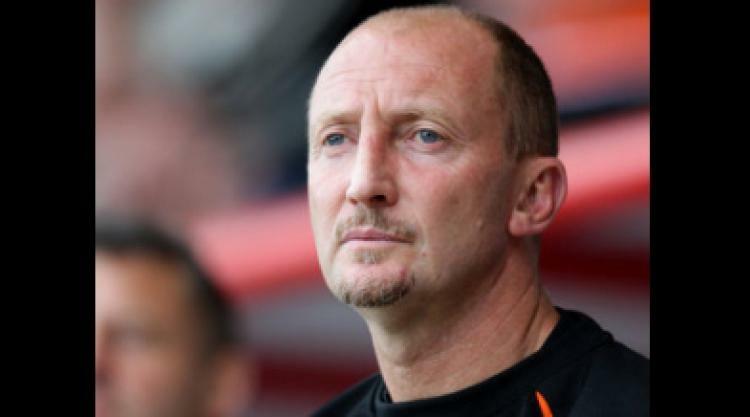 Blackpool manager Ian Holloway said: "We have to give them credit. They had a game plan and they stuck to it. "Some of the things we did on the pitch today were the best I have ever seen but it wasn't quite there in the end. "I'm very upset about their second goal but then I suppose they could be upset about our penalty. "When you have two injuries so early on in the game and you have to make substitutions it takes your options away and I couldn't change the team the way I would have liked. "Our home record has gone but that's only six goals we've let in this season." Blackpool's creativity was stifled by a Barnsley side happy to sit deep and defend for the first 45 minutes. Neil Eardley flashed a shot over the bar just five minutes in and Jason Euell scuffed a shot wide seconds later. Further chances fell for Charlie Adam, Hamer Bouazza and Stephen Crainey but the home side just could not hit the net. Blackpool finally took the lead on 71 minutes when Ryan Shotton was judged to have handled in the area and Adam's low drive gave goalkeeper Luke Steele no chance. Barnsley dug in and on 83 minutes Adam Hammill fired a perfect corner into the box and Bobby Hassell rose above the static Blackpool defence to head the ball home. Five minutes later Alex Baptiste handled the ball while going up for a header and Andy Gray despatched the penalty. Barnsley boss Mark Robins said: "We had to weather the storm in the first half and I think we had to play quite defensively before we could venture forward ourselves. "It's an unusual shape that Blackpool play and one that is very hard to deal with. They do a very good job with their attacking play. "It's good to come away with three points from an away match, especially after what happened with us last week (leading 4-1 at Plymouth before the match was abandoned), and this is a massive win for us away from home. "It wasn't until the second half that we managed to put an attack together but our determination paid dividends."